One of the most important features of a mattress is to form as human body. To do this, the materials used at the mattress such as foam, felt, mattress ticking fabric and spring are very important. Maybe the most important one of these is spring. Specs as number of springs per square meter, flexibility against pressure of body weight, etc., maximize the comfort of sleep. Developing fast especially in recent years Turkey has a rising trend in the mattress industry as well. Increasing their production quality and export activities, the mattress manufacturers contribute to the sector as well as to the national economy. The materials used in production are naturally affecting the quality of the mattresses. The sector would be dominated by egg-carton type of mattresses but the innerspring mattresses dominated in the meantime and the sector was improved considerably. 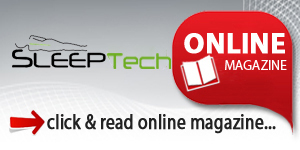 Sleep Tech magazine conducted a survey to learn the factors behind the success of the development of innerspring mattresses and the spring industry in Turkey. It is going to be much better to talk firstly about mattress industry in the World and Turkey as well. The volume of the world mattress industry is about twenty billion dollars. USA, China and Brazil are listed as top 3 in production and consumption. Production and consumption numbers are increasing and are expected to grow more. One of the most important mattress markets is USA, which has approximately 6 billion USD mattress market, and there are more than 800 companies manufacture mattress in the USA. Total manufacture numbers of mattresses in USA is around 36 million pcs per a year. According to analysis made in Turkey, the volume of the mattress industry has exceeded USD 300 million. Turkey has a total of about 30 companies, engaged in the production of beds, which manufacture approximately 3,5 million mattresses a year. However, production capacity is 7 million mattresses a year that means there is still a market gap in Turkey’s mattress industry. Turkey also exports USD 54 million, which is about 20% of total production value and imports USD 9 million. Now we can talk about what kind of mattresses manufacture in the World and Turkey. The mainly there are 3 types of mattresses such as spring, latex, and visco mattress. The most popular mattresses are springs mattress which have a market share of around %65-70% in the world. The rest is latex and foam mattresses. Market share of spring mattress is around 90% in Turkey and rest of them is foam mattress. The main reason why spring mattress has more production is because there are lots of spring types you can able to use it for the mattresses. Such as Pocket spring, Bonnel Spring, Continues Spring, LFK Springs, Offset Springs and Verticoil Springs. Those all kind of springs have different advantages for mattress and it is easy to explain how it has advantage to end customers. For example you can easily manufacture low firm, middle firm and high firm mattresses and able to use different kind of spring wire in the same pocket springs. On the other hand, the other advantage is the cost. Spring or Foam has very important cost in the mattress production and mattress makers have to pay a lot of money for transportation cost so springs transportation cost is much cheaper than foam. Today, the pocket spring mattresses getting popular recently and demand of pocket spring is incredibly İncreasing since 2012 that’s why there is a lack of supply in the market and Springs companies are making investment to increase capacity of pocket spring production. We feel that pocket springs mattress will be top on mattress production shortly. 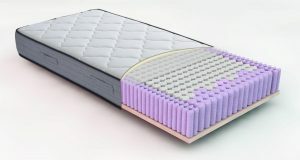 It is not easy to compare Turkey’s mattress manufacture style with European countries, American, or African, Middle East countries because of that each country has different type of mattress that’s why it will not be correct to say Turkey mattress style has the same mattress style like Europe, America, Asia, or Middle east. For instance if you go to African countries such as Nigeria ı can say that production of mattress is 95% is foam mattress but if you go to England 90% is spring mattress, middle east countries have almost 70% spring mattress and 30% foam and latex mattresses so each countries have its own mattress style. There are lots of factors that affect mattress industry such as culture, life style, and economic conditions. Culture is one of the most important factor for mattress type if you go to Europe or America 100% matters color is white color but if you go to North African countries you can be surprised it is not easy to find white color mattress such as Morocco i can say that 95% of mattress have different color like blue, green, there are only a few mattress in White color you can find which are only for hotels. That’s why culture has more accent on mattress style. Metal Matris is located in the middle of Turkey (Kayseri) who is producing spring wire, bonnell spring units and pocket spring units as a member of Has Celik Group. We are concentrated on supplying mattress and sofa producers. We have been exporting to about 40 countries and in domestic market the most of the significant mattress manufacturers are supplied by Metal Matris. We are among top 1000 exporters of Turkey. We can consider the spring producers as two groups: Producers for their own usage and supplier producers for the mattress manufacturers. With a simple look, the first group usually own coiler and assembler machineries and their output is only used in their mattresses or furniture. Their production is stan￾dard based; no many specs they need to manage. There is no direct supply to the market which means their springs must full fill their satisfaction only as everything is consumed inside their facility. 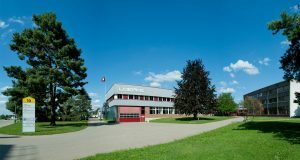 The second group, where Metal Matris must be considered, they do not make mattress or Furniture production and their high quality spring wire and spring manufacturing and is only for the market (the mattress producers and the whole sealers who know the market they are running in and manage the trade with local companies). This kind of companies need to manage the global demand from the customers and the potential customers and also the current or future trend of the relevant markets. There are some sub-aspects of the evaluation on the developments on this sector. High quality mattress producers with the know-how they gather from the market and R&D department studies drive them to present new ideas and outputs. They share what they have and ask our strategically partnership on any project. 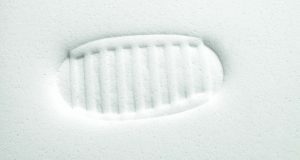 We also search and gather fresh information about change in demand and study on of the effectiveness by many points and update our range of production if the tests and feedback results would be positive by the market which is supplied by our customers as mattress producers and/or whole sealers.The most innovative item with our range of production is the pocket spring. It is elastic, comfort oriented and it has the feature to act independently by its each spring. Many options on the height, hardness, shape and its being easy to be modified definitely makes pocket spring the rising trend in the sector. How to provide better development in the sector and increase quality of production? Everybody says, “The world is global”. The demand is getting bigger but affected from each other closely than ever. We must separate the demand in two at the first plan: Cheap mattresses and expensive (lux) mattresses. A company targets to produce cheap mattress usually has its own coiler/ assembler machinery which means we supply him with spring wire or loose bonnell only. Lux mattress producers they are open to the developments and eager to lead the market. These producers have energy and desire for searching and developing. Mostly they supply European countries plus USA plus Canada. In Turkey there are some worldwide companies with this vision already. For poor countries or developing countries still the big demand is on cheap mattresses. So if any producer targets an African country (for example) the most important topic would be the price then. This obviously means that there may be need to change the specs and innovative them very rarely and only if something pushes the producer about. What should we do about making it higher quality? Saying is simple but doing not. In fact for Turkish companies quality mustn’t be something that market drives but sine qua non of the production. Thankfully it is not like before: Branding is a key thing that private sector prioritizes and the Government promotes. Metal Matris has recently been approved by the Ministry of Economy for the Turquality Branding Program. We are preparing a development road map for during next four years. It is about all departments of Metal Matris to be perfectly coordinated and definitely about concentration on how Metal Matris would become a worldwide brand as a Turkish brand with improved and well-scheduled marketing activities. Also by further years we have been aiming raising awareness on the end consumers to look for the Metal Matris quality while they are purchasing mattresses for themselves. The sector has been developing day by day. As is the case for every sector Turkish people started to source quality products in the mattress industry too. Turkey has some very quality spring manufacturers, too. We have companies making production at world standards. But what makes me upset is the leading companies such as Iskeceli Yay export a big part of their production and leave more economical springs for the domestic market. So, lower quality springs are demanded in the domestic market. We can easily say; Turkey has the ability to produce more lucrative, more quality and most importantly, more innovative products than many other countries. While many countries focused on manufacturing standard springs and to reduce the cost of manufacturing, Turkish spring manufacturers such as Iskeceli Yay focused on R&D to produce more innovative products. The sector has gained momentum in the world with more innovative and patented products. We should train Turkish consumers and we should place extra importance on developing demand to ask better products in the industry. We gladly see that the demand has been improving at this regard but still it is not at world levels. The sector started to use spring more than foam. The leading ones are Bonnell and bag springs. The manufacturers usually develop springs according to their measurements in the world especially in the UK. They have developed more comfortable systems by using spring in the system what we call “box spring”. At the box spring made in Turkey, a shock-absorber o silencer is used in bow springs. In the UK and other EU countries they place spring in these box springs as well. In other words, they use four times more springs to increase the comfort. The features used in the system are different than each other. They use hardest ones at the bottom level and softer ones over them to provide better comfort. This is done especially in Greece and some west European countries where luxury mattresses are produced. But it is most common in the UK. Also pocket springs are very common in those regions. The more we go to west from the east the softer the mattresses are. In Turkey, Bonnell springs are used mostly. The usage of pocket springs is also on an increasing trend. The Hercules spring system is mostly used at orthopedic mattresses. These springs are produced ticker than bonnell springs. The diameter of a regular bonnell spring is 2.20 but it is 2.38 at a Hercules spring. When the thickness of a spring increases its flexibility also increases at the same rate. With the same token, when you reduce the diameter of a Hercules spring, the number of spiral increases at the same rate.